It’s Confetti Park Storytime! In this episode, we hear Louisiana-born big band leader and children’s author Leif Pedersen narrate The Missing Chord, the very first book of the Swamp Kids series. The Swamp Kids are friends and bandmates who live in Bayou Bleu near Mamou, Louisiana. Led by Pierre a le Gator on fiddle, the musical Swamp Kids include Mon Cher the pretty raccoon and TuTu the turtle on washboard. There’s also a fish, named Campeaux, who keeps time by splashing his tail in the water. But they just can’t get their musical sound quite right! What’s missing? Will they find it before the big Battle of the Bands contest at the Fall Fais Do Do? Sashay the Crawfish longs to join in the merry music making, but he wants to bring just the right sound to the group. Maybe he has just what the Swamp Kids need! Swamp Kids’ creator Leif Pedersen is a fabulous musician in his own right. Leif has been a lead singer for many famous internationally touring Big Bands, such as The Tommy Dorsey Orchestra, Al Beletto’s Big Jazz Band and sang with Pete Fountain's Big Band at the 1984 World Fair. Today, the New Orleans native leads his own band. The Swamp Kids is a growing enterprise, with five books in the series and more coming. All of the books contain “Lagniappe Lessons” by Louisiana celebrities—famous Cajun fiddler Doug Kershaw is the guest star in The Missing Chord and look for LSU Baseball Coach Paul Mainieri in book number six - Play Ball! See if you can Solve this! Click Here to ​Check out more Puzzles! 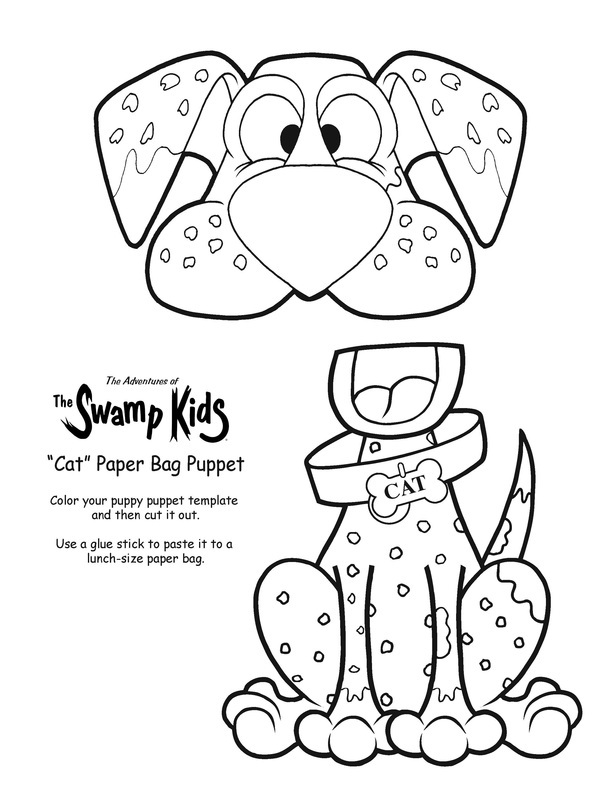 Make your own "dog Named Cat" Puppet! ​CLick the Image of "Cat" to print it out. Color your puppy puppet template and then cut it out. Use a glue stick to paste it to a lunch sized paper bag and Voila! ​CLICK HERE TO CHECK OUT MORE COOL ACTIVITIES! We are so excited about our children's book series,The Adventures of the Swamp Kids! Click on the link below to watch our book trailer on their first adventure,The Missing Chord, and meet the Kids. They are anxious to meet you too! 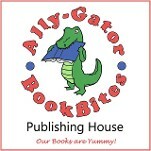 From Ally-Gator Book Bites Publishing House, The Adventures of the Swamp Kids is a brand new series of children's books written by Leif N. Pedersen and illustrated by Tim Banfell in Slidell, Louisiana. "We create these books because we love igniting children's passion for reading while simultaneously offering them wholesome and important values and morals." Contact us for more information about this brand new series of children's books. Home Page Theme Music - "One Step a Bashoot LeBlanc"
"I was inspired to create this arrangement by listening to the playing by the late Raul "Bashoot" LeBlanc who lived south of Lacassine, LA. I used some of his tune along and combined it with some of my own musical ideas to represent the great visits we used to have playing together on his front porch. Because he also was a great harmonica player, I was inspired to include a harmonica solo in his honor. " This tune appears on the CD, "Chris Miller and Bayou Roots", and can be purchased by visiting www.bayouroots.com.